The entrance to her funeral parlour boasts monthly deals in the same manner a local coffee shop would advertise their daily specials. Ronel Mostert is preparing for the season of death, winter, which she says is her busiest time. Deaths tend to increase in winter due to the colder climate, affecting weaker immune systems which often leads to death. Owners of funeral parlours are aware of this business opportunity and prepare by stocking up on coffins, gravestones and flowers. 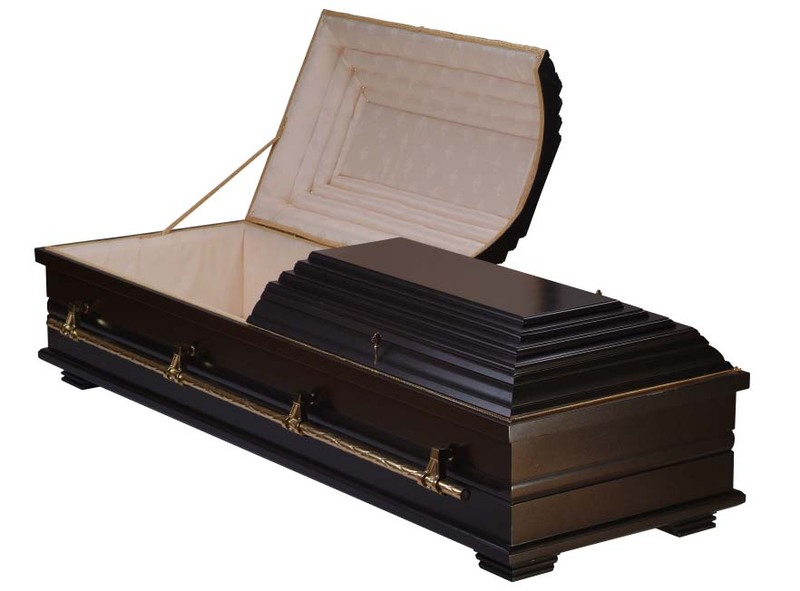 Funeral parlour owners in Grahamstown could be forgiven for preparing their businesses for an increase in the death toll not only in winter but all year round. There exists the common misconception that there is an increase in deaths in the town. But deaths are actually decreasing. Consider these statistics, received from Professor Michael Whisson, anthropologist and leader of the DA on the Makana Municipality. There is a significant decrease. This is because health care in Grahamstown has increased dramatically and there are fewer HIV/AIDS and TB related deaths. Local clinics are testing patients regularly for TB. And anti-retroviral treatment, introduced in 2004, is making a real difference in the community. There are over 8000 people living in Grahamstown who are HIV positive. Of these, over 1100 are on ARV treatment. The result is that people are living longer which means there may not be enough demand to meet the growing supply from funeral parlours. From a consumer conscious point of view, the mistaken perception has its advantages. With another business owner, Ernie Cassel’s, building a new parlour in Grahamstown; the number of parlours servicing the community reaches 12. This means that competition between businesses will increase which means business owners are forced to offer better services to customers to be successful. With about 70 burials per month, and a typical funeral costing R5000, the funeral business has an average turnover of R4200 000 per year. Ronel Mostert is in her second year of business and although she says she is not yet showing a profit, she is optimistic about the future of her business. This is because she offers burial service as well as insurance cover for her clients which could cost as little as R15 per month for pensioners and R50 per month for a family plan. Planning for death is necessary as unexpected deaths could do some serious damage in terms of setting families back financially. But as with any industry, parlour owners should be paying full attention to the death statistics in Grahamstown, as this is the source of their income. Thanks that would be fabulous!! Was just wondering when there would be an update on your blog with some new posts. hey guys how r u doing, what is happening on our blog there is no single new posts. What’s the word in the ghetto?